The MArch Design & Make programme is dedicated to developing new modes of architectural practice in which making is integrated within design processes. 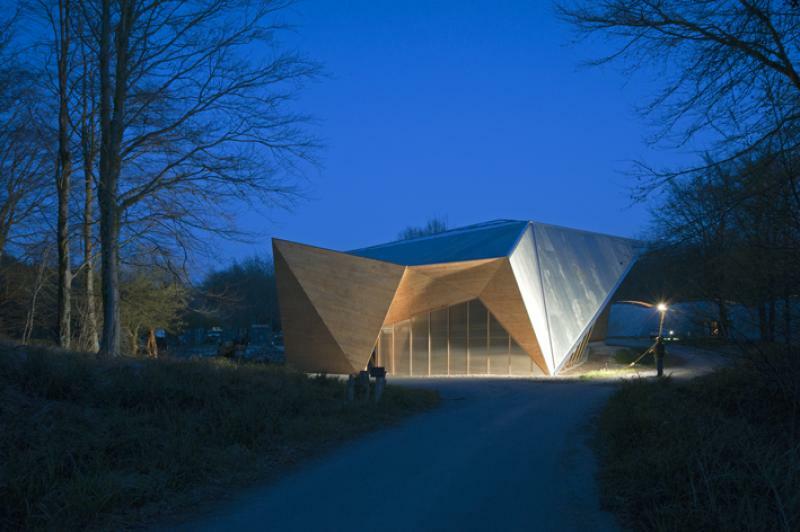 Based at Hooke Park and now in its second year, the course is structured around a series of design-build projects through which direct architectural responses to material, site and the processes of construction are developed and tested. 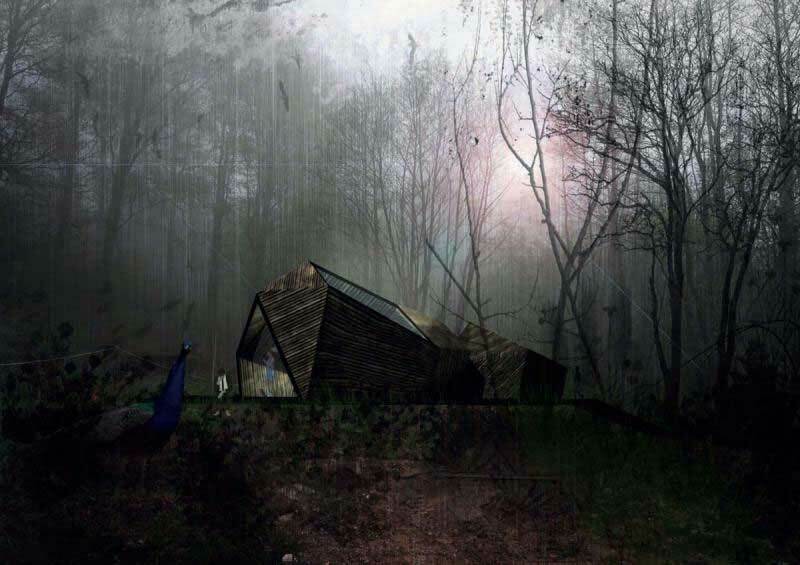 These investigations lead to the design and construction of a permanent building as part of the growing Hooke Park campus and the production of an individual thesis informed by these projects. This academic year has seen the graduation of Design & Make’s first student, Nozomi Nakabayashi, whose project – The Big Shed – is now in use as an assembly workshop for prototyping and prefabrication by current students. 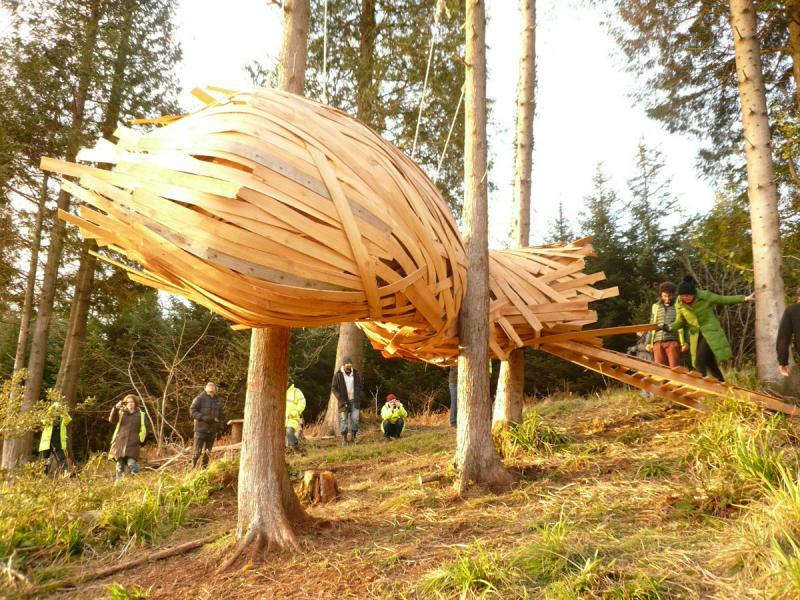 Designed initially alongside students of Diploma Unit 19 in 2010/11, and constructed by a team of students and professional timber-framers led by Charley Brentnall, the 500m2 building consists of a roundwood larch structure clad with cedar planks from the Hooke Park woodland. Having traced the design evolution of the project and the representations and decisions made within that, Nakabayashi’s thesis proposed an alternative to the fictional determinism of conventional drawings, arguing that they do not sufficiently express tolerances for the contingencies presented by the real and physical world. The current cohort of eight students is now starting construction of a student accommodation lodge. Their first-term projects tested approaches to design in direct response to the Hooke Park landscape and the materials available to them. In one project, a cocoon-like monocoque enclosure was constructed to weave between three trees. In another proposal, a system of adjustable structural frames were iteratively arranged and clad on site according to view and inhabitation. The lodge project is extending these strategies into the design of a real building.